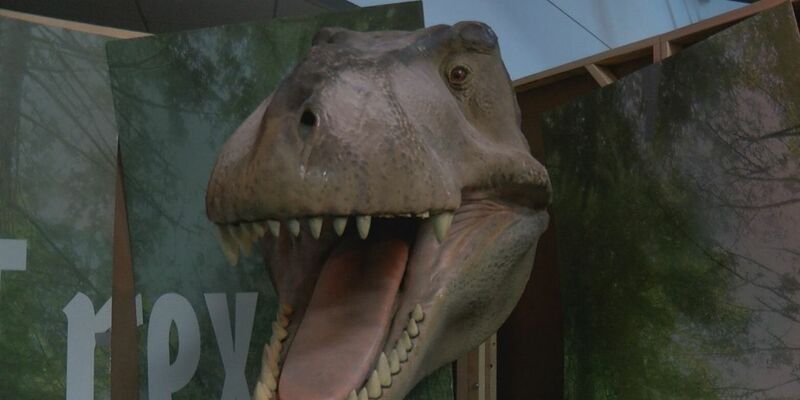 AMARILLO, TX (KFDA) - The Don Harrington Discovery Center is bringing back the dinosaurs with its new Battle of the Titans exhibit. The exhibit will have a predator vs plant-eater battle between a Triceratops and T-Rex, where visitors will learn which giant wins throughout the exhibit. Similar to a boxing match, the exhibit will show comparison between each dinosaur and the advantages and disadvantages each one has in the battle. The community has given many requests to bring in a dinosaur exhibit and the Discovery Center executive director said visitors won’t be let down. The creative director said the new exhibit will show that a child’s fascination with dinosaurs will never go out of style. The exhibit is currently under construction but will be open to the public this Saturday, January 26. Members of the Don Harrington Discovery Center will be able to preview the exhibit a day early on Friday from 7:00 to 8:30 p.m.
You can find more information about the event by visiting the Don Harrington Discovery Center’s Facebook page.